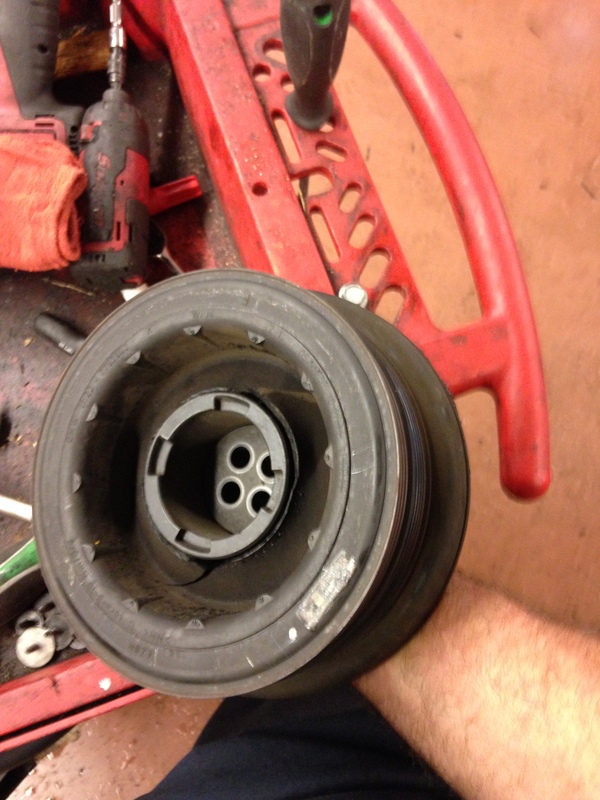 This is for all you diesel lovers,,,,this is the balance shaft pulley,,,,if you have experienced stiff steering and maybe some charging issues this maybe your problem. As you can see the center rubber damper piece is coming apart,,,,,and it causes the drive belt to slip causing a stiff steering and charging issue because the drive belt is not turning fast enough. 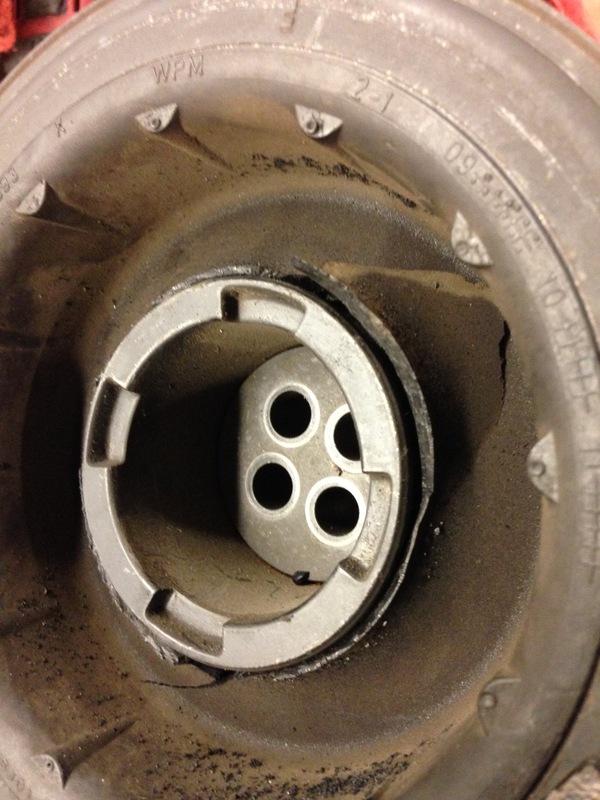 This entry was posted in Uncategorized and tagged damper pulley, diesel, front pulley, pulley. Bookmark the permalink. We have seen this problem on the diesels a couple of times.